Nottingham Trent University has collaborated over the past five years in a consortium with Leeds University, Bath University and Cardiff University which constitutes the Centre for Industrial Energy, Materials and Products (CIE-MAP). One of six centres of excellence in End Use Energy Demand established by Research Councils UK, CIE-MAP (initially operating as UK-Indemand) was awarded £6.2m by the EPSRC, of which Nottingham Trent University received around £1.25m. The aim of CIE-MAP has been to undertake research designed to combat global warming by addressing energy use by industry, specifically by reducing material flows. The underlying rationale is that converting raw materials into stock materials (e.g. ore into steel plate) is an energy-intensive process, and consequently excessive demand for materials needs to be tackled in order to reduce energy use (and, therefore, carbon emissions). "The Centre was designed to have a major impact in terms of promoting changes in policy and practice that will help to reduce the nation's consumption of energy. Nottingham Trent University's research has covered a range of themes. The particular expertise that we have brought to the project relates to design, sustainable consumption and behavioural analysis, complementing the scientific skills of other partners." CIE-MAP research undertaken at NTU focussed on four areas: cultural preferences for disposability, product life extension through repair and reuse, product design and business models. In total, the research has to date resulted in 15 peer reviewed journal papers (8 published, 3 under review and others in preparation) and 6 book chapters (5 published, one is in press). In addition, a total of 44 presentations have been made at academic conferences. Further information about Centre for Industrial Energy, Materials and Products is available on the CIE-MAP website. 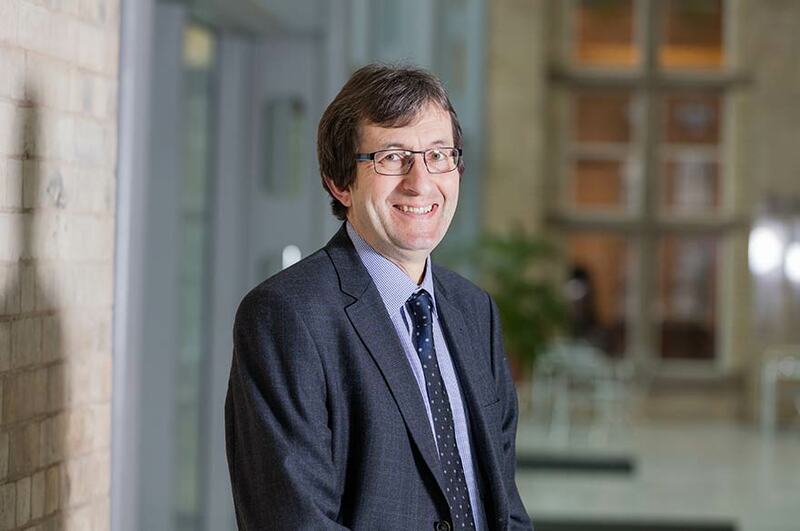 Co-director of the Centre for Industrial Energy, Materials and Products (CIE-MAP), Professor Tim Cooper specialises in research on product lifetimes. His research interests are multidisciplinary, embracing sustainable design, consumer behaviour, public policy and environmental values. He initiated the biennial PLATE (Product Lifetimes and the Environment) conferences and is editor of Longer Lasting Products (Routledge, 2010). Former CIE-MAP researchers who remain in academia include Dr Jagdeep Singh, Dr Giuseppe Salvia, Dr Naomi Braithwaite and Dr Mariale Moreno. Past and present CIE-MAP research students include Dr Kyungeun Sung, Alex Rodrigues, Patrick Keen and Tung Dao. Through the Centre for Industrial Energy, Materials and Products (CIE-MAP) Nottingham Trent University collaborates between Bath University, Cardiff University and Leeds University. The Centre has worked with a range of industry partners and government departments (e.g. BEIS, Defra), together with organisations such as the Green Alliance, Innovate UK, WRAP and the Committee on Climate Change. Barrett, J., Cooper, T., Hammond, G.P. and Pidgeon, N. (2018) Industrial energy, materials and products: UK decarbonisation challenges and opportunities, Applied Thermal Engineering, 136, 643-656. Cole, C., Gnanapragasam, A. and Cooper, T. (2018) Enhancing reuse and resource recovery of electrical and electronic equipment with reverse logistics to meet carbon reduction targets. Procedia CIRP 69, 980-985. Gnanapragasam, A., Cole, C. and Cooper, T. (2018) Consumer perspectives on longevity and reliability: a national study of purchasing factors across eighteen product categories. Procedia CIRP 69, 910-915. Garnett, K., Cooper, T., Longhurst, P., Jude, S. and Tyrrel, S. (2017) A conceptual framework for negotiating public involvement in municipal waste management decision-making in the UK, Waste Management 66, pp. 210-221. Cole, C., Gnanapragasam, A. and Cooper, T. (2017) Towards a circular economy: exploring routes to reuse for discarded electrical and electronic equipment. Procedia CIRP, 61, pp. 155-160. Singh, J. and Cooper, T. (2017) Towards a sustainable business model for plastic shopping bag management in Sweden. Procedia CIRP, 61, pp. 679-684. Mestre, A. and Cooper, T. (2017) Circular Product Design. A Multiple Loops Life Cycle Design Approach for the Circular Economy, The Design Journal, 20:sup1, S1620-S1635. Sung, K. and Cooper, T. (2015) Sarah Turner – Eco-artist and designer through craft-based upcycling. Craft Research, 6(1) 113-122.